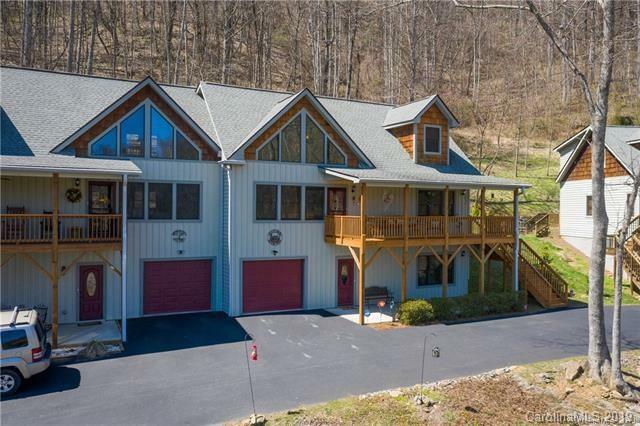 A true contemporary mountain home located in Trinity Cove! 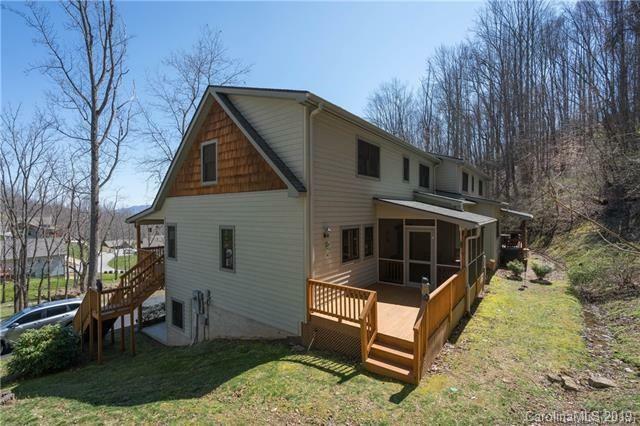 Easy paved access 10 minutes to Maggie Valley or Waynesville. 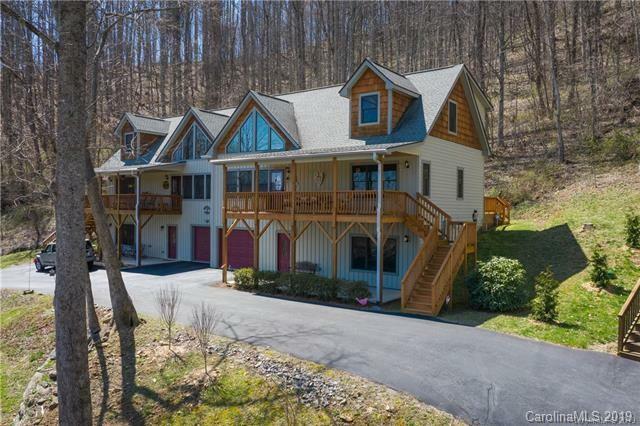 A community of newer homes that enjoy wooded surroundings and mountain views. The home boasts 3 levels of comfortable living. The main level features an open floor plan with stone fireplace as the main accent in the great room. Tongue and groove pine, vaulted ceilings with lots of fixed glass to bring in the natural sunlight. Stainless appliance, solid surface tops, and soft close cabinets provide a great kitchen workspace. Master bedroom and bath on main. Bath features a jet tub, double vanity, separate shower, and private water closet. Upper-level loft doubles as an office with nice mountain views. Jack and Jill style bath is shared with the guest bedroom. The lower level is set up as a bar/entertainment but can have an extra bed & bath. 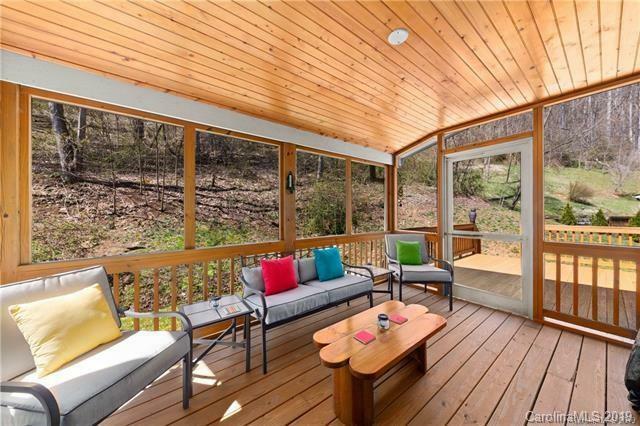 Large back screened porch & covered front porch. One car garage with workspace. Home can be purchased furnished!